PolioPlus is Rotary’s flagship program. 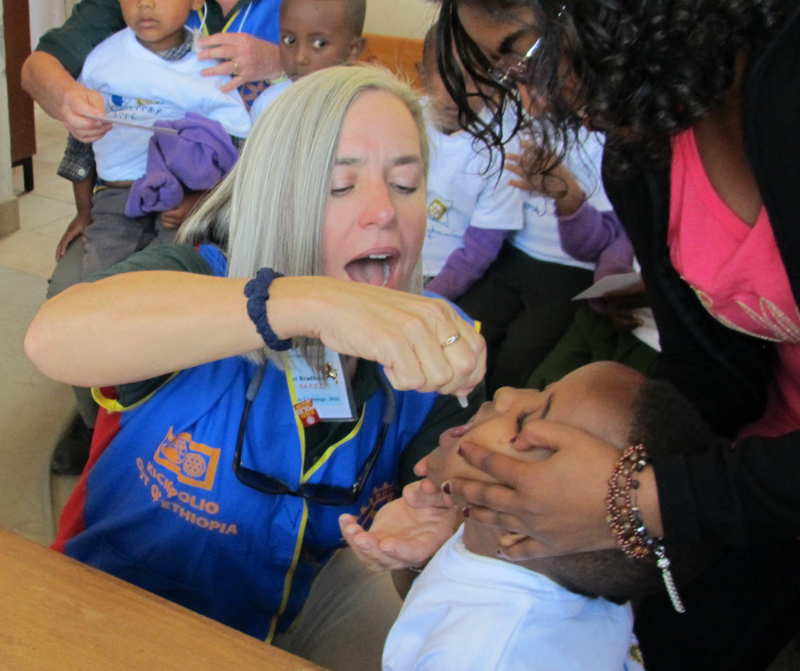 By the time polio is eradicated, Rotary club members throughout the world will have contributed US$850 million and countless volunteer hours to immunize more than two billion children in 122 countries. Rotary is a partner in the Global Polio Eradication Initiative along with the World Health Organization, UNICEF, and the U.S. Center for Disease Control and Prevention.